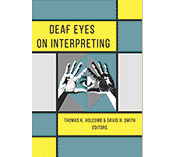 This is the third weekly installment featuring highlights from the 20 chapters in the new book, Deaf Eyes on Interpreting, edited by Thomas K. Holcomb and David H. Smith, which is scheduled to be released in June by Gallaudet University Press. This chapter, entitled Accountability and Transparency: The Missing Link in Ensuring Quality in Interpreting, has three co-authors: Chad Taylor, Ryan Shephard, and Justin “Bucky” Buckhold. It focuses on how the new “professional” relationship between agencies, interpreters and Deaf consumers has resulted in a lack of accountability and transparency. 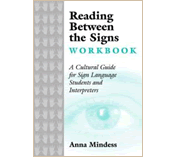 Interpreting agencies assign interpreters to jobs without much attention to quality. Interpreters accept jobs without any accountability for their work. These facts have resulted in less than satisfactory experiences for many Deaf people involved in interpreted sessions. Expert interpreters are often embarrassed by the unprofessional, subpar work of their poorly qualified peers. The authors argue that both interpreters and interpreting agencies must be held accountable for their work and that increased transparency is long overdue for this profession. Chad Taylor, in the video clip above, suggests that using crowdsourcing reviews can return to Deaf people the decision making power and control they deserve when it comes to hiring interpreters, instead of just having to accept “a roll of the dice.”. 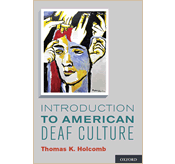 Posted in Deaf Culture, Deaf Eyes on Interpreting, New book, New book, Deaf Eyes on Interpreting, videos from book contributors and tagged ASL, ASL interpreters, Chad Taylor, Deaf Culture, Deaf Eyes on Interpreting, Gallaudet Press, Interpreting Agencies, Justin "Bucky" Buckhold, Ryan Shephard. Bookmark the permalink. I am very intrigued by the concept of utilizing a crowd sourcing app/program to encourage feedback from Deaf users of interpreting services. 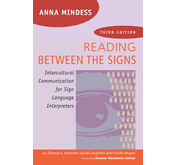 I would love to see every agency or association offer this as a viable tool for all who are using interpreting services. I think the feedback could be aimed at not only the interpreter and quality of work provided, but the hiring agency as well. Far too often the values of the agency and community conflict which then often results in mediocre service! Looking forward to reading this chapter!